When photographing this close to a subject, it becomes difficult to get light past the lens. The Canon MR-14EX Macro Ring Light makes this task simple. 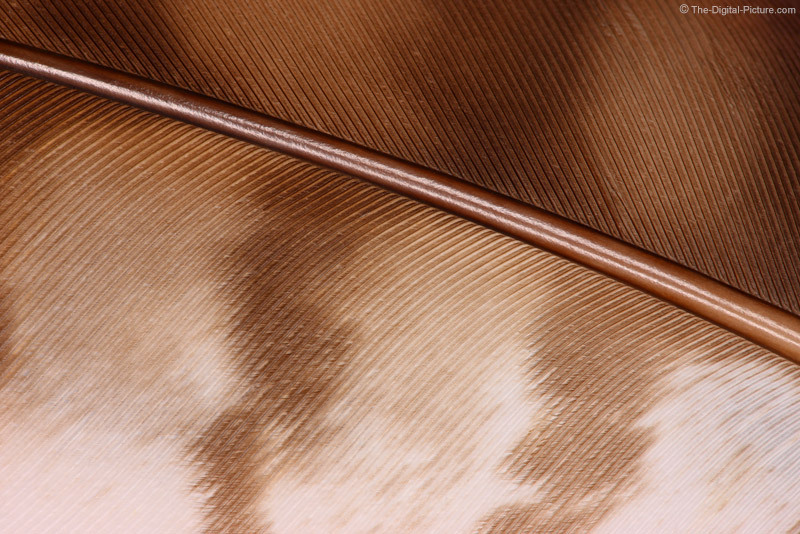 The feather is evenly lit and, with the quick burst of flash providing all of the light, very sharp even though shot with a narrow aperture under dim lighting.